The new trade mark - "Znatniy Med"
News / contracts / The new trade mark - "Znatniy Med"
In January 2017, Publicity Creating signed a contract for PR-promotion of natural eco-product "Znatniy Med". The agency's functions include maintaining sites in social networks, preparing and distributing press releases and news for the media, videotaping of reports and interviews, as well as conducting Internet conferences, consulting, monitoring and preparing monthly reports. As part of the PR-agency cooperation will also develop logo and brand book, packaging design, souvenirs and printed products. During the promotion, an information and educational program is planned, aimed at a wide range of people and Internet users. Reference. 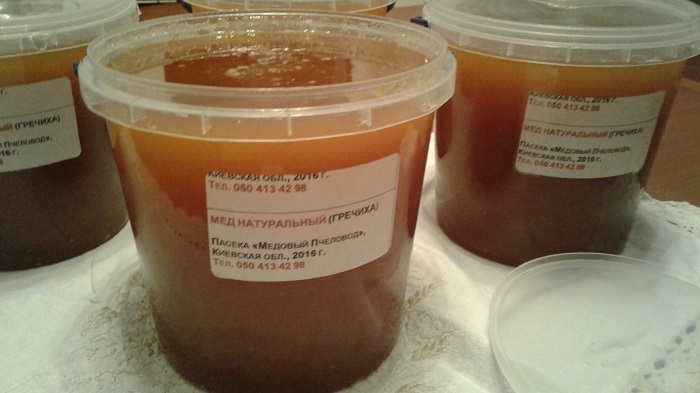 Honey "Znatniy Med " is produced in the apiary "Honey Beekeeper" (Ukraine). The apiary "Honey Beekeeper" is an association of a number of beekeeping farms located on several sites in ecologically favorable places in the Kiev and Zhytomyr regions. The variety of the honeybase makes it possible to collect various honey varieties during the season, such as "Maisky", "White Acacia", "Forest Lime", "Sweet Buckwheat", "Summer Meadow", "Sunny", "Field honey". Products "Znatniy Med" is aimed primarily at the domestic market of Ukraine, the urban population - consumers with average incomes. Among the buyers are also beauty salons, cafes, cosmetics manufacturers and other commercial structures. The products are sold in different packing - from small glass jars that are perfect for a gift or individual consumption, to a "family package" (3 liters). Also, honey is sold in a standard container - plastic pails with a capacity of 1 liter for retail, and pails with a capacity of 10 L - for wholesale and corporate customers. The main priority in the production of "Znatniy Med" is a natural. Pedigree bees (Ukrainian Steppe, Polesskaya and Karpatka) are found in wooden hives, antibiotics are not used to bees. Honey is not subjected to any heat treatment. Consumers can be sure, that they receive a natural product - from the Nature. Products are produced in a non-contact way, stainless tools are used. Honey is stored in a bucket of glass and safe plastic. The apiary uses advanced production technologies.